A few weeks ago I wrote to you about my experience of meeting one of our missionary bishops, Bishop Bejoy D’Cruze, OMI. He is the bishop of the new diocese of Sylhet in Bangladesh and was a guest at the recent Annual Meeting of the Pontifical Mission Societies. The bishop is a delightful man who clearly enjoys his work in this very rural and poor diocese. I never saw him without a smile on his face. 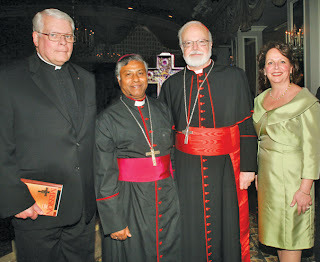 Unfortunately, a little over a week ago Bishop D’Cruze suffered a life-threatening heart attack. He was in the Archdiocese of San Antonio taking part in their Missionary Co Operative Program, speaking in parishes about the missionary activity of the Church and about his diocese in particular. He is a relatively young man and appeared to be reasonably healthy. However, he had several severe blockages in his coronary arteries. Approximately one week ago he underwent a quadruple bypass and the latest information we have is that he is recovering. I bring this to your attention for two reasons. First, I ask that you include the bishop in your prayers for his speedy and complete recovery. He is desperately needed in his diocese and we pray that he will be able to return there in good health as soon as possible. Second, his story highlights the tremendous gap that exists between much of the world and us. In our own country, emergencies like this are common and sophisticated care is usually readily available. Had Bishop D’Cruze returned to Bangladesh before suffering this heart attack, it is likely that he may not have survived. He would have been far removed from any kind of advanced medical help and could not have withstood the arduous journey needed to receive that intervention. Please continue to pray for Bishop D’Cruze’s recovery. And take a moment to reflect on the many blessings we enjoy in our country—blessings that much of the world can only imagine. 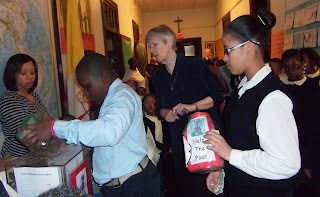 For more information on the missionary work of the Church, see our website, www.propfaithboston.org. 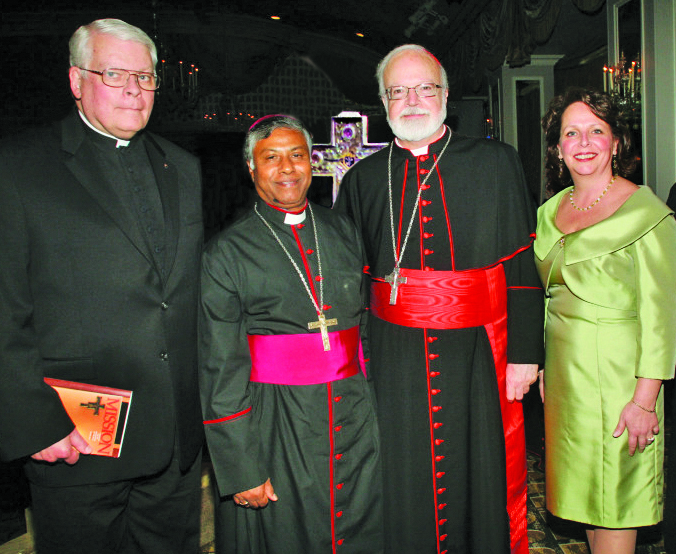 Click below to hear Bishop D’Cruze himself thank you for being a donor to the missions through our office here in Boston. Every year the Diocesan Directors of the four Pontifical Mission Societies gather under the auspices of the National Office to share ideas and grow in their knowledge and experience of the Church’s foreign mission activity. It is also a time for us to have personal contact and interaction with each other and with missionaries who are invited to join us. Last week two members of our office staff and I attended this year’s meeting hosted by the Archdiocese of Miami, Florida. Lest you think that we were on vacation, I assure you that we were kept quite busy for the four days we were there! One of the invited guests at this year’s meeting was Bishop Bejoy D’Cruze, a member of the Oblates of Mary Immaculate, who is bishop of the brand new diocese of Sylhet in Bangladesh. Ordained in 1987, he became bishop of Khulna in 2005 and was transferred to Sylhet when Pope Benedict formed the new diocese in 2011. This relatively young bishop’s diocese encompasses 4,863 square miles with a population of ten million people but only 18,000 Catholics. These folks are no strangers to poverty. Most eke out a living by growing and processing tea, earning about one dollar a day in wages. 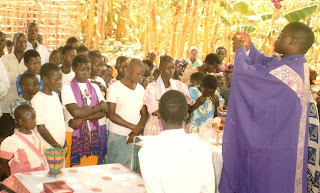 While evangelization is the top priority for Bishop Bejoy, he also needs to address the practical needs of the people under his pastoral care, and he does so without regard for caste or religious affiliation. Practical matters include education, health care, and the civil rights of the workers. Our office helps to support Sylhet and many other mission dioceses by sharing with missionary bishops the Mass stipends you send to us. Since most of the priests in these dioceses do not have a regular salary or other predictable income, they rely heavily on Mass stipends. The Boston office of The Society for the Propagation of the Faith provides significant support, not only to the priests of Sylhet, but to many other missionary priests as well. You can support the missionary activity accomplished all over the world by using our Mass cards. Please contact our office at 617.542.1776 for further information. 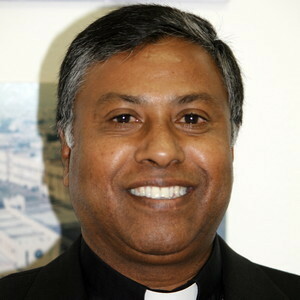 In addition you can view this video interview with Bishop Bejoy done by Maureen Heil from our office. In it, Bishop Bejoy expresses his humble gratitude to you, our donors, for making these all important Mass stipends available for us to send to him so that he may in turn support his priests.